African Gray Parrot (Psittacus erithacus) is a very talkative, intelligent, and sensitive bird. It may be the best talker of all the birds, easily learning hundreds of words and other sounds. These parrots have been kept as pets since ancient times, when the Romans wrote about them. 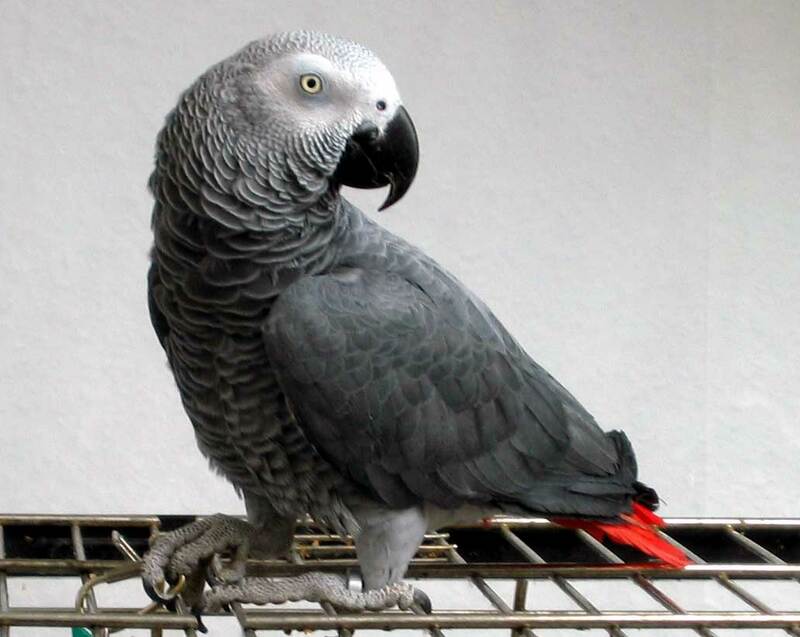 The Congo African Gray Parrot is about 13 to 16 inches (33 – 41 cm) long. They have a wing span of about 18 to 20 inches (46 – 52 cm). They weigh about a pound (450-550 g). These parrots have gray feathers, white patches around the eyes, and red tail feathers. The curved bill is dark gray. The males and females are hard to distinguish.